Police are to treat the vandalism of poppy wreaths at Loughgall War Memorial as a ‘hate crime’. Ulster Unionist Cllr Arnold Hatch condemned the attack and said those involved must be made to apologise to the families of those affected. 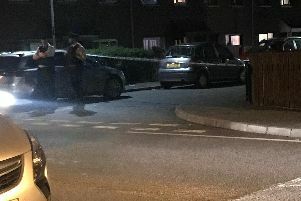 Police said they believe a number of men were involved in the attack in the early hours of Saturday morning. Alderman Hatch said it has to be condemended by all right thinking people throughout the Armagh, Banbridge and Craigavon Council area and beyond. ALderman Hatch said: “Those who committed this gross act of vandalism must be caught and, not only brought to justice, but be made to apologise to the families affected by this act. “I have been in touch with the PSNI urging them to locate the criminal(s) as soon as possible,” Ald Hatch concluded. The PSNI said they are appealing for information after a report of criminal damage at the Main Street of Loughgall area in the early hours of Saturday 19th January. Inspector Leslie Badger of Portadown Neighbourhood Policing Team said: “Shortly before 2am, it was reported that a number of wreaths were damaged at the war memorial in the area. “ It is believed that a number of males were involved and enquiries are continuing. At this stage, police are treating the incident as a hate crime.